We jumped on the drip irrigation bandwagon about five years ago and we haven’t turned back since. Here in Zone 8b, it can get quite warm later in the growing season. During these periods of high temperatures, it becomes very difficult to provide water to our vegetables plants in the garden. This is amplified when plants such as corn develop a foliage canopy, which makes it even more difficult to deliver water to the roots from an overhead source. 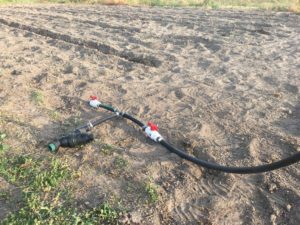 This dilemma was the primary impetus for us beginning to use drip irrigation. Once we began using it, however, we discovered so many more benefits! 1. Water conservation. Because you’re only delivering water to the roots where the plant can absorb it, you won’t need to use near as much water. You won’t be watering leaves and paths between plants anymore, so you’ll save on your water and electric bill by watering less and more efficiently. 2. Fewer Weeds. Just like our vegetable plants, weeds need water to grow. When you water your garden from overhead, it delivers water between plant rows and allows weeds in those areas to thrive. Using drip tape eliminates watering those areas of your garden, which reduces weed germination and growth. 3. Less Disease. Many common plant diseases and fungal infections are caused by excessive moisture on the plant foliage. By reducing the moisture in these areas, you’ll have fewer issues with disease and fungi in your vegetable garden. This is especially the case with crops like squash and pumpkin. 4. Fertilize Easier. 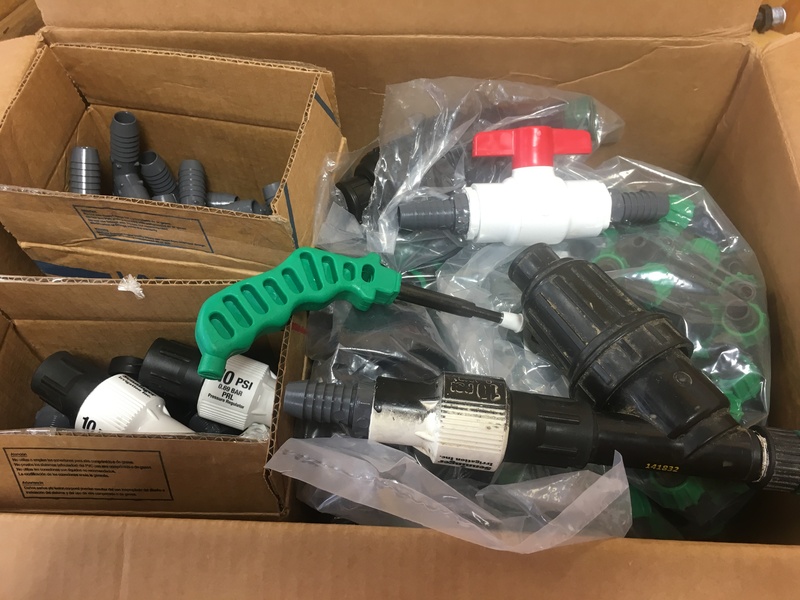 Fertilizer Injectors are a wonderful tool that allow you to provide important nutrients to your plants while you water. 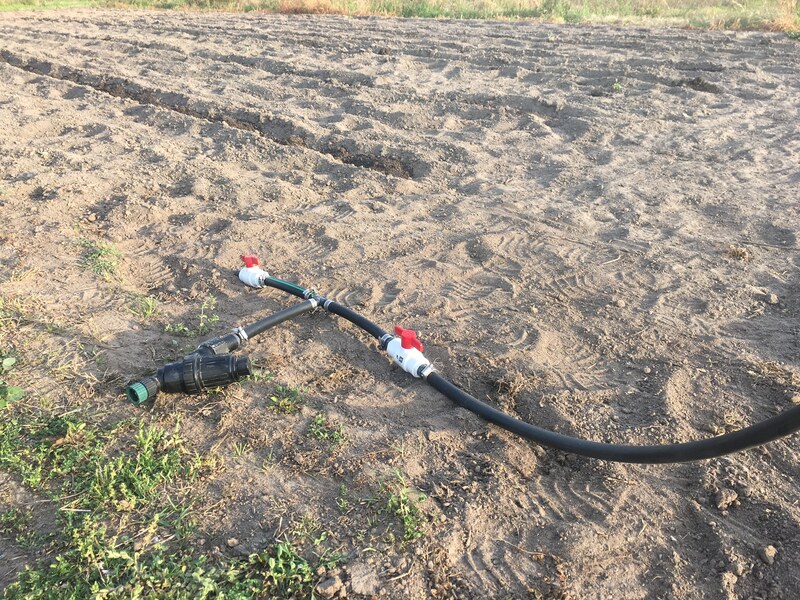 A drip irrigation system amplifies the benefits of a fertilizer injector because it delivers those plant nutrients exactly where they need it. You’ll conserve fertilizer and have healthier looking plants as a result. 5. Increased Yields. Watering and providing nutrients more efficiently will always result in increased yields in your vegetable garden. Due to the ease of watering with drip irrigation, you won’t ever have to worry about your plants becoming stressed during the growing season. This will allow your vegetable plants to devote all their energy to producing large, flavorful fruits for you to enjoy. While using drip irrigation does require a small bit of pre-planning with your garden design, it is well worth it once your vegetable garden is planted. Take the time and devote the resources now so you can reap the rewards in the future.